How I long for the good old days. Do you remember back when it was just so cool to scoff at any and all warnings about new American foreign policies or old potential threats by anybody who actually knew what they were talking about? I remember when highly intelligent, arrogant, Ivory Tower progressive-liberals with no real-world experience or common sense were boldly trashing the comments of anyone one who did not see things their way? Do you remember the debate where Barack Obama haughtily “schooled” Mitt Romney about his lack of understanding of foreign policy after Romney made comments about the potential threat Russia still presented. How did that work out? We have unresolved Russian aggression in Ukraine. Venezuela, Cuba and Nicaragua are forming stronger military ties with Russia and can provide bases for Russian combat aircraft and missiles. ISIS / ISIL / DAESH or whatever you want to call it … in Iraq and Syria, forming alliances and sponsoring attacks her in the U.S. Saudi Arabia, Jordan, Egypt and Israel are doing their own thing … tired of waiting for the Anointed One to declare which side of the war on terror he is on. 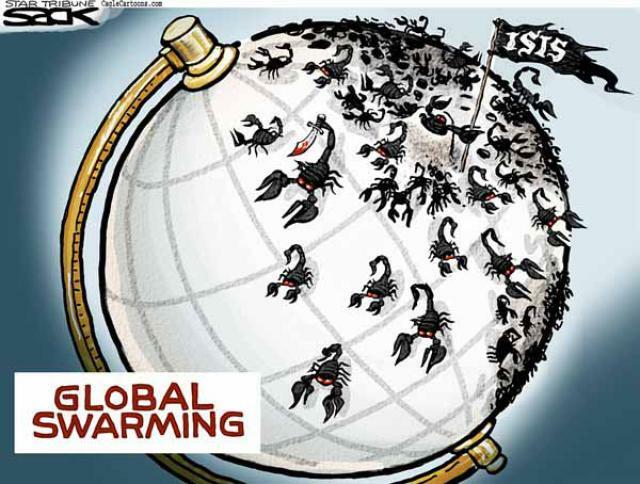 Yes …Yes … I know we are not “at war” with them, however, they are at war with us and have been since the 70s.Obama’s efforts at containment and degradation certainly didn’t stop ISIS fanatics from shooting up a cartoon contest here in the U.S. Tell me …. how do you contain a threat that recruits via twitter and Facebook? We are facing a nuclear-armed North Korea who’s leader just executed a loyal, longtime senior member of his own government who, by the way, also loyally served his father … by shooting him with an anti-aircraft gun! And for what you might ask? Dozing off in a meeting. And this idiot is just itching for a reason to launch a missile at someone! We have a president who is so blinded by ideology and so anxious to be seen doing something … that he is willing to sign a disastrous deal with Iran; one that we know they will not adhere to and will practically guarantee them nuclear weapons shortly after he leaves office. Iran’s leaders just keep stringing Obama and Kerry along like a couple of organ grinder monkeys! It is freaking embarrassing! CNN REPORTS U.S. STRATEGY TO CONTAIN ISIS SEEMS TO BE UNRAVELING. Don’t you have to have some sort of a recognizable strategy … before it can actually begin to unravel? Guess not! !